International Fine Art Conservation Studios (IFACS) was established by Richard Pelter in 1969, under the name of West of England Restoration Studios. The company became International Fine Art Conservation Studios Ltd in 1985, to reflect its growing presence in the global market. IFACS has maintained a tradition of employing highly-qualified and experienced conservators, who have completed many prestigious heritage conservation projects for clients in the UK and abroad. 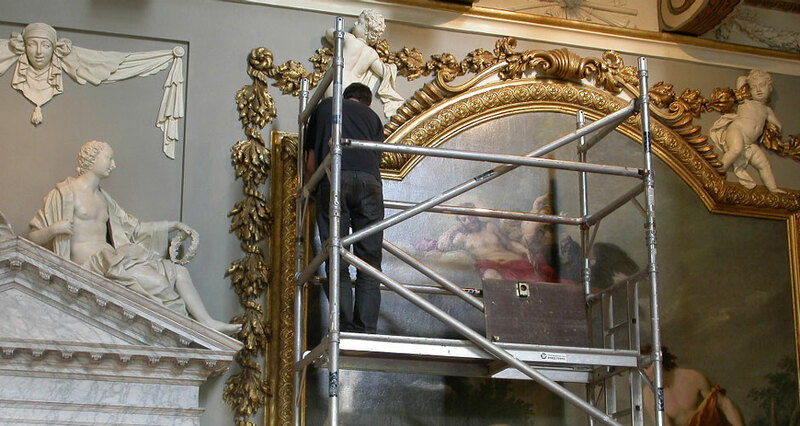 IFACS conservators are able to take on the conservation of a wide range of art, from easel paintings and wall paintings, to polychrome sculpture and historic decorative interiors. The name has become synonymous with high quality work and a sympathetic conservation approach. The studio has conserved many paintings such as portraits, landscapes and maritime scenes from important private collections, among which have been works by artists such as Sir Allan Ramsey, Sir Joshua Reynolds, Sir Thomas Gainsborough, John Singer Sargent, Claude Monet, Auguste Renoir and J.M.W. Turner. IFACS is increasingly taking on contemporary pieces by a variety of popular artists, with works coming from private owners, art galleries, auction houses or dealers alike. In addition to practical conservation projects, IFACS provides a range of other services, including investigative technical analysis, budget planning and display advice.